This year buildOn partnered with Madonna and Raising Malawi to build ten schools in villages chosen from a list of communities in need of new infrastructure. They said they would build all ten schools within 18 months. They did it in 12! 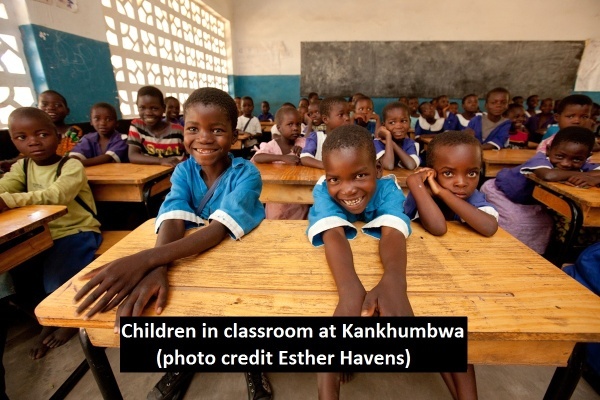 (NEW YORK, December 27, 2012) – As part of Madonna’s ongoing commitment to support orphans and vulnerable children in poverty stricken Malawi, ten primary schools have been completed that will serve to educate 4,871 children. These schools are located in rural villages across Malawi and are a result of the partnership between Madonna, her charity Raising Malawi and the global nonprofit buildOn. The ten schools, which were scheduled to be built over 18 months, have been completed six months ahead of schedule. Six of the schools are already in use and all ten will be up and running in January 2013 for the first day of school in the New Year. The project was originally announced early this year as a major initiative of Raising Malawi, which has already provided millions of dollars in support of orphanages, a network of orphan care service providers, health clinics, a scholarship program for girls, and the schools with buildOn. The location for each school was chosen from a list of communities in need of new infrastructure. The Ministry of Education Office in the Kasungu District was an important partner, providing both the teachers and curriculum after each school was completed. I am overjoyed that my commitment along with buildOn’s to help educate the children of Malawi has come to fruition. In a country where girls have little opportunity for education, it’s additionally inspiring to know that more than half the students attending will be young girls. The fact that more than 4,800 children in Malawi will get to go to school next year is a tremendous step forward for their individual growth and the growth of Malawi. Consistently ranked among the world’s 20 least developed countries on the UN’s Human Development Index, Malawi has long been challenged by economic stagnation and a lack of access to education. 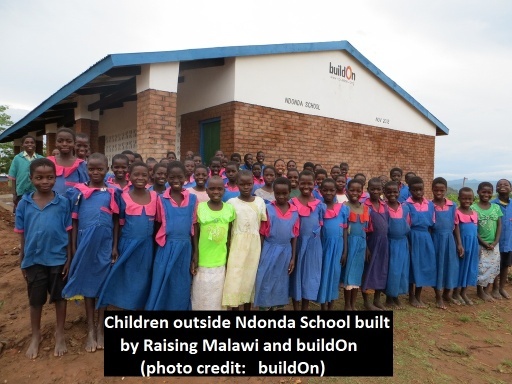 With support from Madonna and Raising Malawi, buildOn was able double the reach of its school construction program within a year. Madonna’s commitment to the children of Malawi is inspiring. Through Raising Malawi’s support we were able to build 10 schools that will educate literally generations of children who need it the most. Also, right now is a great time for Madonna fans to follow in M’s footsteps! This holiday season buildOn is trying to raise $60,000 to build two more schools in Malawi. Their corporate partner is matching every gift dollar for dollar.